(May 12): The National Audit Department today said it was carrying out its audit on state investment vehicle 1Malaysia Development Berhad (1MDB), adding that the matter was top priority. In a statement, Auditor-General Tan Sri Ambrin Buang said the department planned to submit a preliminary report to the Public Accounts Committee (PAC) latest by the end of June. “The audit department is giving this matter top priority,” Ambrin said in the statement replying to queries on the status of the audit. Prime Minister Datuk Seri Najib Razak earlier this year ordered the audit and told the audit department to prepare a report for further action by the examination by the PAC. 1MDB had said it would comply with the audit. The PAC will begin investigation into 1MDB on May 19 by calling treasury secretary-general Tan Sri Irwan Serigar Abdullah to give his statement. Yesterday, PAC chairman Datuk Nur Jazlan Mohamed said Economic Planning Unit (EPU) director-general Datuk Seri Dr Rahmat Bivi Abdullah would also be giving his statement to the committee on the same day. 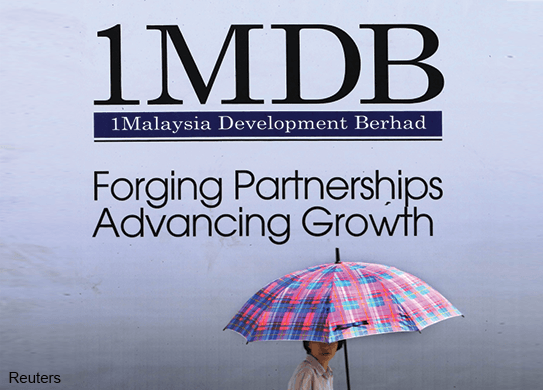 May 12): The National Audit Department today said it was carrying out its audit on state investment vehicle 1Malaysia Development Berhad (1MDB), adding that the matter was top priority.